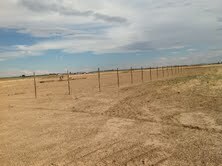 12/22/12 - The arena construction is progressing, with all the pipe posts in and the top rail on (Merry Christmas to me!) 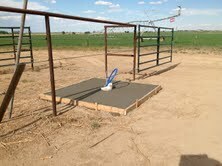 Next is welding the clips to run the cable through, and finally to hang the gates. 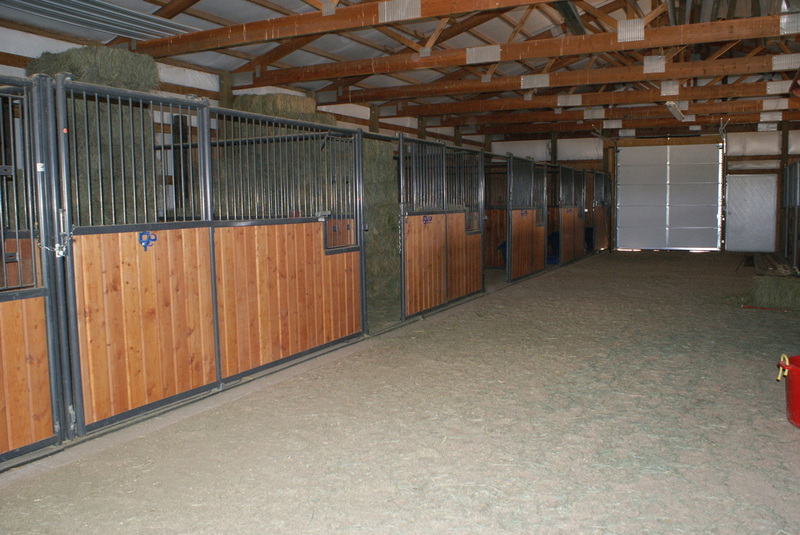 After Christmas next week we will be hauling in the sand to give us that good, safe arena footing. 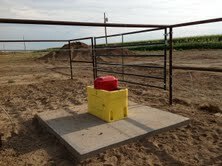 The 50-foot round pen will be set up as soon as the sand gets here. 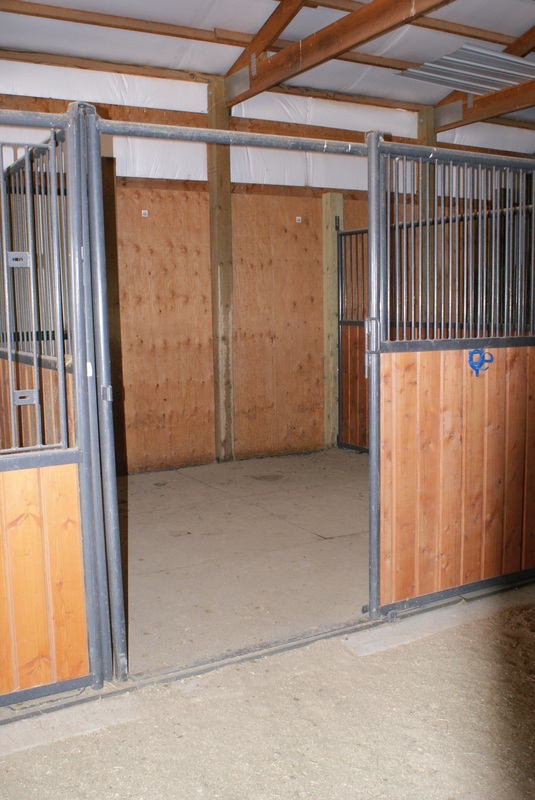 The electrician is here today adding more lighting in the barn. The Lazy H welcomes Scott, Heather and "Finn" ! 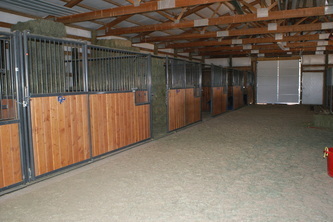 The facility includes a brand new, beautiful 14 stall barn. 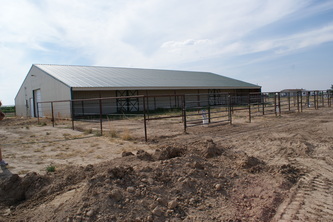 The stalls are 12x12 and each has an outside run with automatic waterers. There will be a wash rack, a 50' round pen and a 160' x 280' lighted roping and riding arena. 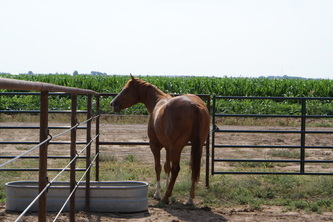 Special limited time introductory monthly boarding rate is $275 per stall which includes hay.